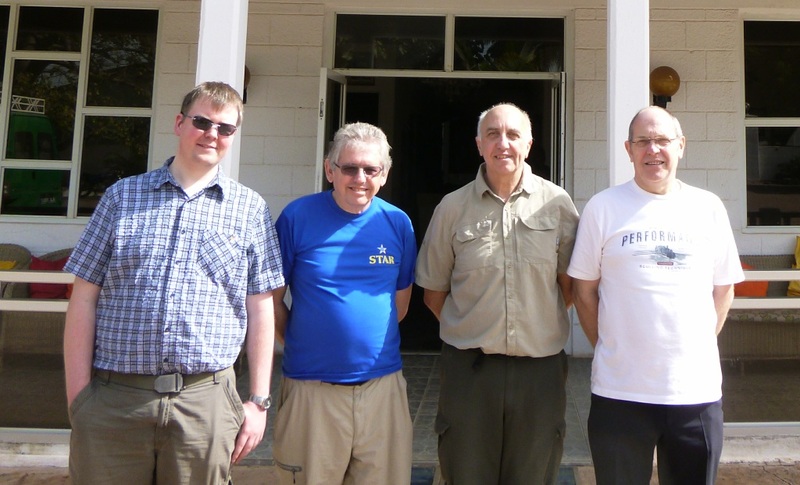 In mid 2014 I had a surprise email from Alan G3XAQ asking me if I would like to join him and Steve G3VMW on a trip to The Gambia, scheduled for January 2015. After the initial surprise had subsided, it didn’t take long for me to agree. Plans progressed steadily. Thomas Cook Airlines changed our flight dates twice, we found a 4th member of the team – namely Don G3XTT, and we started compiling a list of the equipment we would need. We had no fixed plans and as a group we decided we had nothing to prove so we’d be doing only what we wanted rather than trying to satisfy ‘the deserving’. Clearly travelling with 3 rather well known DXers I did feel like I needed to be at the top of my game, but most of all we just wanted to have fun. 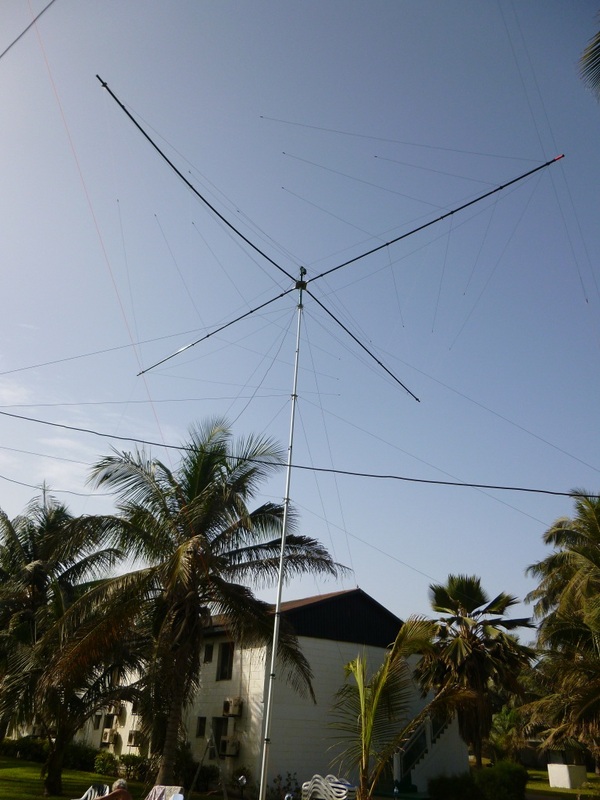 We had 2 stations, K3 and KPA500, 2x Spiderbeam yagi antennas (1x 5 band and 1x 3 band), dipoles for 160-30m. Overall between 4 of us we managed to be a couple of kg under the maximum baggage alowance by spreading things around between us before checking in. 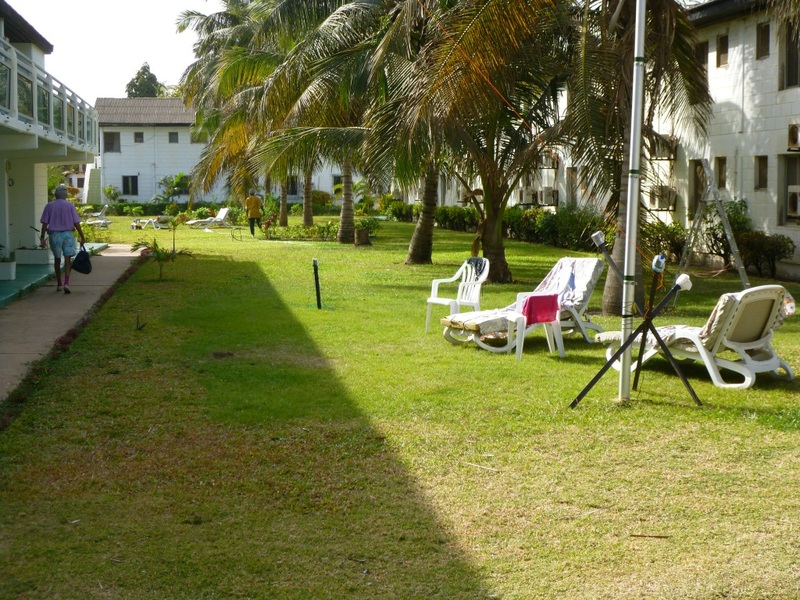 Accommodation was certainly without frills, but then we didn’t really need a 5* resort for playing radio. 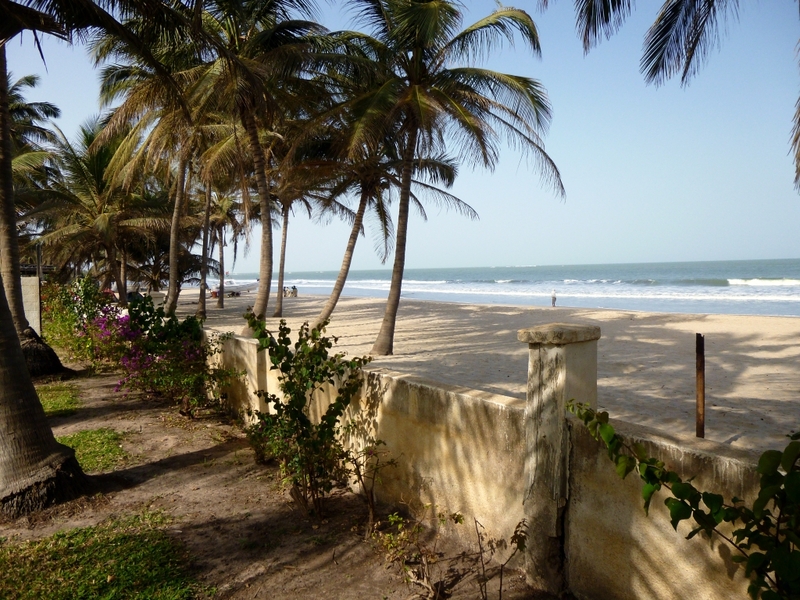 We had a beach front location, but sadly it was a public beach and we were too far away from the water to make better use of it. The beach was just a little too far away and was public access. First things first, aerials. 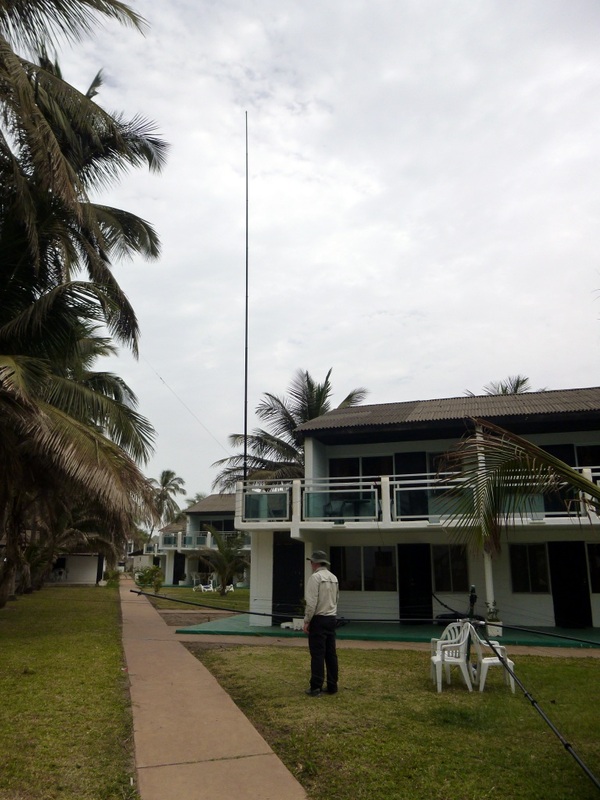 On the day we arrived we managed to erect a 30m dipole into a high palm tree and get one station on the air for a few QSOs before dinner. Having had a long day travelling we didn’t try and do too much on day 1. Next was a Spiderpole for more dipoles and to get going on the 3-band Spiderbeam. The spiderbeam went together pretty well, though it took about 3 hours to assemble and get it up on the Spiderbeam aluminium mast. The Spiderpole on the balcony is an 18m Spiderpole missing the top 4 sections. This held up 80m and 40m dipoles. Sadly we could not find any space in among the palm trees to erect the 5-band spiderbeam on another mast. In the end we decided to use the 2nd aluminium mast to support dipoles for 17 and 12m. These worked very well as it happened. The spiderbeam up around 11m. We had other guests around at all times, so we had to be careful about safety and were also able to field questions from curious onlookers. Sun loungers being used under the Spiderbeam! Once all the aerials were up then we set to business. I operated mostly CW with some RTTY. In the first few days I sent all my time on the WARC bands, demand was immense as most activity from C5 is in contests. 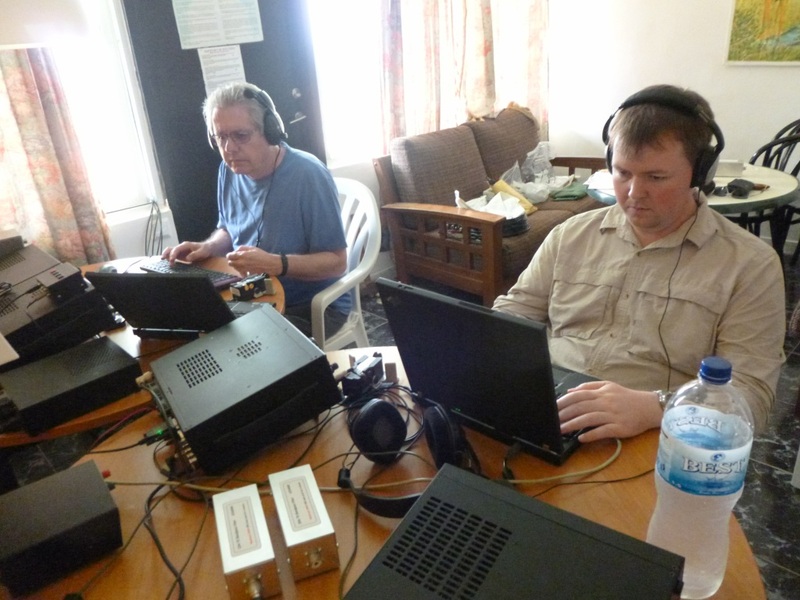 Alan G3XAQ on the left, Iain M0PCB on the right, both CW at this point. Iain M0PCB running a CW pileup. A great 10 days was had. The pileups were bigger than any of us had expected in advance. Certainly a different experience that I had had before. 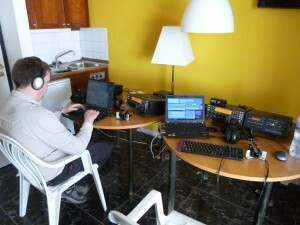 One morning on 17m CW the pileup ranged from JA through EU, NA, Caribbean, SA and even Antarctica. At the same time! Left to right: Iain M0PCB, Alan G3XAQ, Don G3XTT and Steve G3VMW. 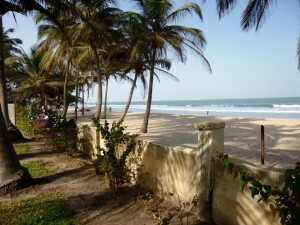 We had a chance to have lunch with Andre C5YK, who is a Belgian ex-pat living in The Gambia with his wife most of the year. A lovely couple, very hospitable and took us on a quick tour of his shack and aerials at his home. Our QSO total was a little over 23000, mostly CW, but also some SSB and RTTY. All bands were covered 160-10m. 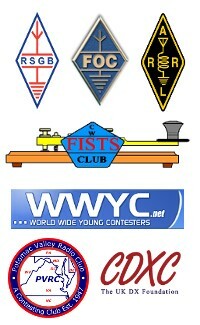 The QSL manager is M0OXO and all logs are on LoTW. Thanks for the QSOs!